The making of slates sounds like a dull and uninteresting task, possibly sounding as boring as the shale from which its name derives. However, in the world of Science Fiction and Fantasy literature, the creation of slates is a time-honored tradition that always stirs up such a large amount of controversy and drama that we could not resist taking part. In this context, a slate is simply a list of works that one suggests one’s readers nominate for one of the various awards that exist within the world of Science Fiction and Fantasy. Every slate contains a mix of works and authors that are deserving, works and authors that are just the slate-maker blatantly shilling themselves and their friends, and the intersection of the two. Our slate is no exception, but we impose an additional thematic restriction. Despite being named after the wonderful animal that is the young canine, the Sad Puppies have historically ignored their brothers and sisters of other species. So, we have put together a recommendation list of our own for you to consider when deciding on what to nominate for Science Fiction and Fantasy awards, such as the Hugo or the Dragon. The list is composed of Furries and allies to the Furry cause, though as defined by E621’s loose definition of what is and isn’t Furry. 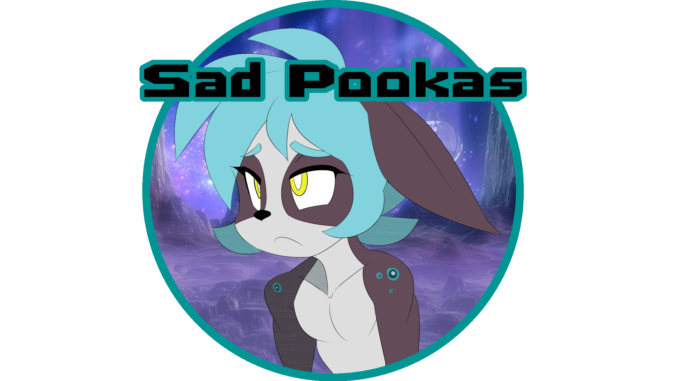 And remember, only you can end pooka related sadness. Click here to submit your nominations for the Dragon Award. UberQuest, by Mike C. & Jess C.
Click here to register a supporting membership for this year’s Worldcon. Here are instructions on how to nominate and vote for the Hugo Awards. Also, for any journalists who wish to report on our campaign to end pooka related sadness, please note that QuQu was part of Daniel Sieradski’s Official List of Twitter Nazis.